For Tripwire, 2015 is shaping up to be an outstanding year, filled with exciting opportunities, substantial growth and unmatched success. Today, we are thrilled to share with our customers, partners, employees and stakeholders that our business momentum continues to build in the first half of 2015. During the past six months, Tripwire saw double-digit growth in large, strategic accounts, as well as entry-level deals. The company’s strategic deals alone have grown over 40 percent when compared with the second quarter of 2014. 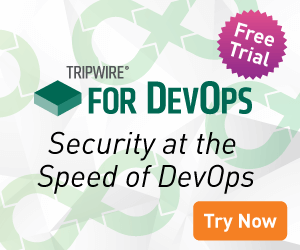 In addition, Tripwire expanded its primary North America market by 25 percent this year, while reporting record revenues and profits led by strong sales of our vulnerability management solution Tripwire IP360, as well as our NERC Solution Suite, a security and compliance solution designed to meet the unique compliance and cybersecurity requirements of energy organizations. We’re also continuing to expand out Technology Alliance Program partnership – which now includes integrations with Hitachi-ID, LogRythm, Sigmaflow and Novatech – to keep our customers secure and compliant, and provide them complete solutions for advanced protection. Much of this substantial growth and development can be attributed to a number of factors – one of them being the outstanding leadership of our CEO Jim Johnson. After leading the company through 11 years of profitable growth and a successful acquisition by Belden Inc., Jim Johnson will retire as president at the end of September 2015. We are truly grateful for his unparalleled dedication and commitment to drive this company to a position of market leadership, with the support of the entire organization. To resume this vision, Tripwire has appointed our current vice president of worldwide sales and 25-year technology veteran Gus Malezis to fulfill this role. Malezis’ career has included roles at Merisel, 3Com and McAfee. In 2005, he joined nCircle as vice president of worldwide sales and retained that role at Tripwire following its acquisition of nCircle in 2013. His ability to effectively lead organizations in ultra-competitive technology markets makes him a natural fit to lead Tripwire’s next phase of growth. “It’s a great privilege to be asked to lead Tripwire as we continue our strong growth trajectory in the months and years ahead,” said Malezis, incoming president of Tripwire. “Jim Johnson has built an excellent team, and I look forward to building on the solid foundation the company has built as well as pushing the pace of innovation even further,” he said. Jim Johnson adds that Tripwire’s profitability continues to grow at record pace, and the company anticipates strong revenue and profitability for the remainder of 2015. With this vision and strategy at the forefront of the company’s goals and objectives, Tripwire looks forward to many more years of success. For more information, read Tripwire’s press release here.